Since the beginning of the publicly funded maternity service in New Zealand in 1939, there have been many changes to the way maternity services have been delivered. Some of the documentary evidence that marks these changes is kept by Archives New Zealand, particularly administrative files of government departments such as the previously named Department (now Ministry) of Health, and some hospitals, for example, the now closed St Helen Hospitals. Other documents, such as personal manuscripts, are kept at the Hocken Library in Dunedin, and museums and other libraries around the country. Two noteworthy collections of personal manuscripts are those of Joan Donley in the Auckland Museum (MS 95/20 & MS 93/7) and in Special Collections at the Auckland Medical School Library, though this latter collection is yet to be catalogued. It is not unusual, however, for the manuscripts of private individuals and organisations, both professional and consumer, to be relegated to less permanent and safe storage. These are frequently housed in cardboard boxes in attics or basements, and can be exposed to excessive heat, moisture and dust which can irretrievably damage documents. Further, collections may even be dumped, rather than relocated, when families or organisations shift premises. In October 2006, the Wise Woman Archives Trust Inc. (WWAT) was established in the Waikato and incorporated under the provisions of the Charitable Trusts Act 1957. 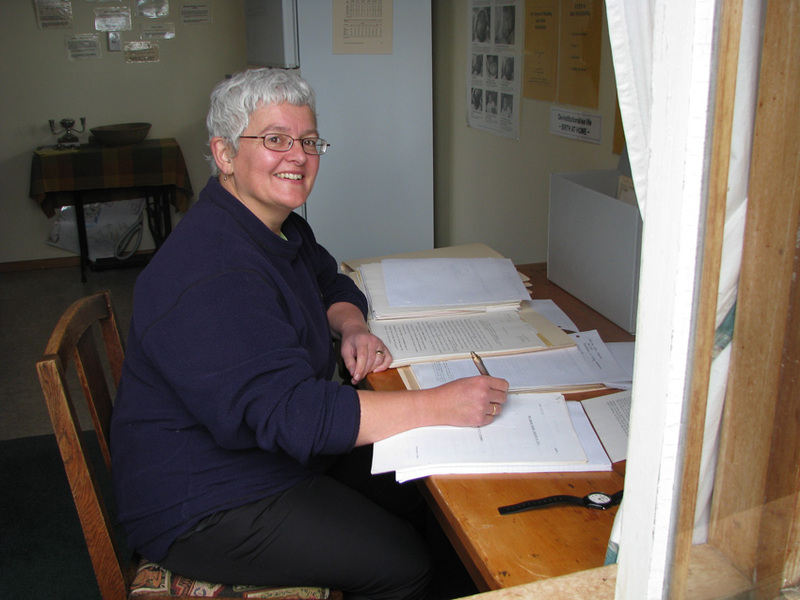 Its mission is to collect and preserve historical materials relating to maternity services in New Zealand, and to ensure these collections become accessible to interested people for research purposes. These interested people may be, for examples, researchers, professional and local historians, authors and biographers, and others pursuing a specific interest in New Zealand maternity history. WWAT’s lofty goal has come to fruition with the support of Birthspirit, which sponsors the archive and provides all the necessary sorting, preservation, cataloguing, digitising, development of finding aids, and promotion of collections. Two significant and irreplaceable collections held by WWAT are those of the Auckland Home Birth Association (WWAT 2007/3) and the Domiciliary Midwives Society of New Zealand (Inc.) (WWAT 2000/1). Both of these organisations existed from 1978 and 1981 respectively, and were foundational in the politicising of women (and families), midwives, politicians (and others) that lead to the passing of the 1990 Nurses Amendment Act, and the return of midwifery autonomy in New Zealand. These two groups lived the practice of partnership – women and midwives together – working to ensure the home birth option remained alive when it had all but disappeared. Central to securing viability of the home birth option was the need to rectify the penury of domiciliary (home birth) midwives, which – as they say – is now history. The majority of collections can be accessed without restriction and are gradually being converted to a freely available online collection. You can check here for one of the curios which has been donated. In some cases, however, restrictions are necessary for the purpose of protecting personal privacy. If you have historical material that relates to maternity in New Zealand that you would like included in WWAT Collections please contact Dr Maggie Banks maggiebanks@birthspirit.co.nz.